Wtf, Morringhan? : New Obsession Alert! So I find that this is a common thing on the internet, or maybe I just tend to socialize with like-minded people, but people don't just like things. They're obsessed. When I have a new interest it is my top priority on getting as much information as fast as possible, becoming an overnight expert on a new tv show, an athlete's career or that new book I just finished. They are usually short lived; they burn bright, but they burn fast. I will sacrifice sleep in order to watch every single video there is on YouTube about that thing, I will read as many news articles as I can sneak during my work hours, and I will most certainly follow at least 5 Twitter accounts that are related to that thing. Some would consider it borderline stalking. 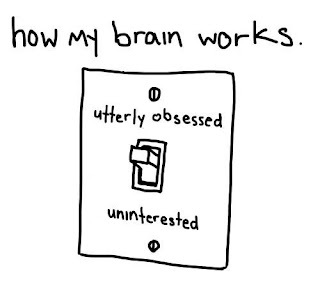 And I will share that information with anybody who is around long enough to hear me say "so I have a new obsession." It annoys my friends, my family members and co-workers, but after the first weekend of "did you knows" I'm usually able to direct my attention to Tumblr. Some people seem concerned, my therapist said it was a healthy thing since I have a novelty-seeking personality. Everybody has an opinion. But as long as I'm not hurting myself or others, I say let it be. 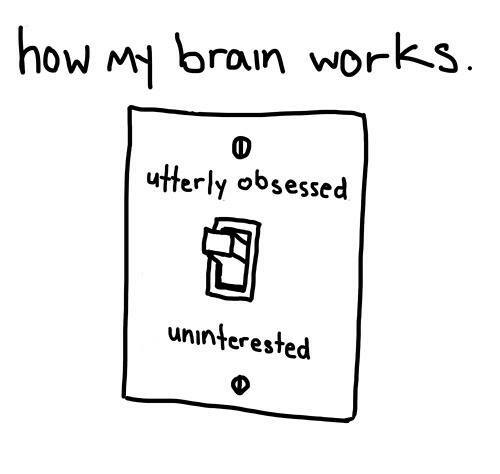 What about you, my chers, who obsessive or unobsessive are you? About what?